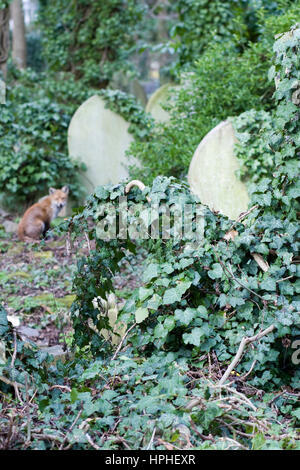 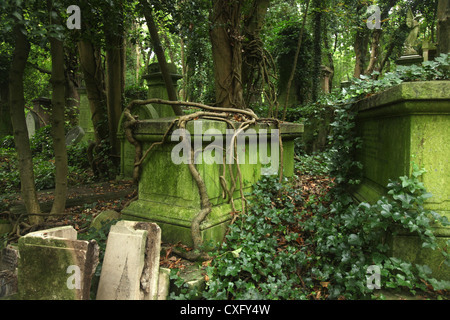 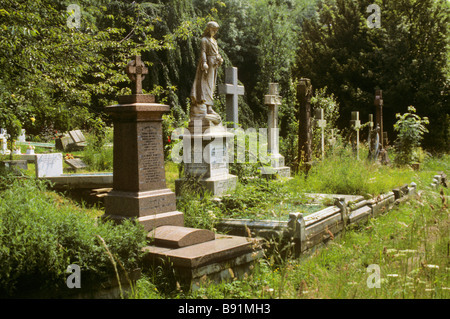 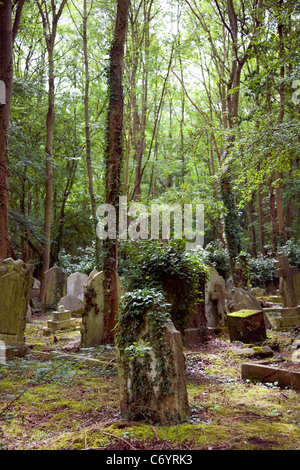 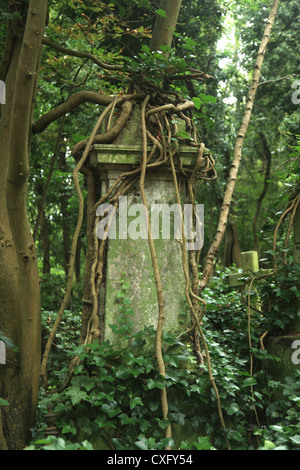 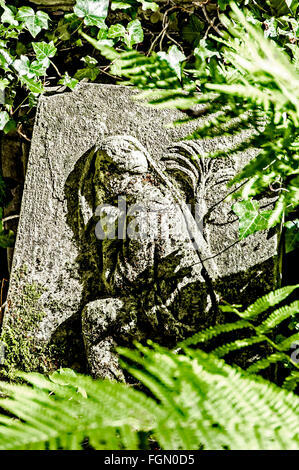 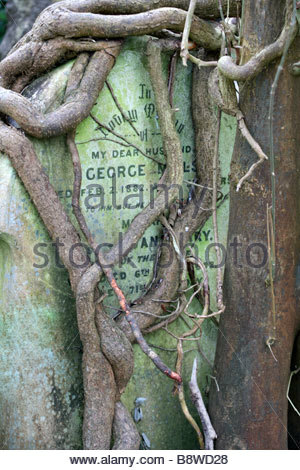 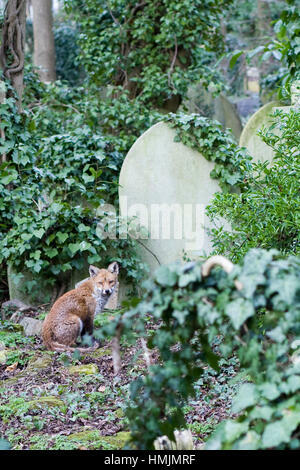 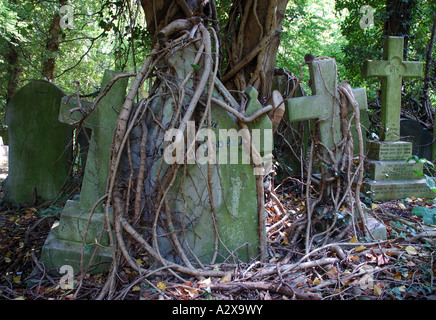 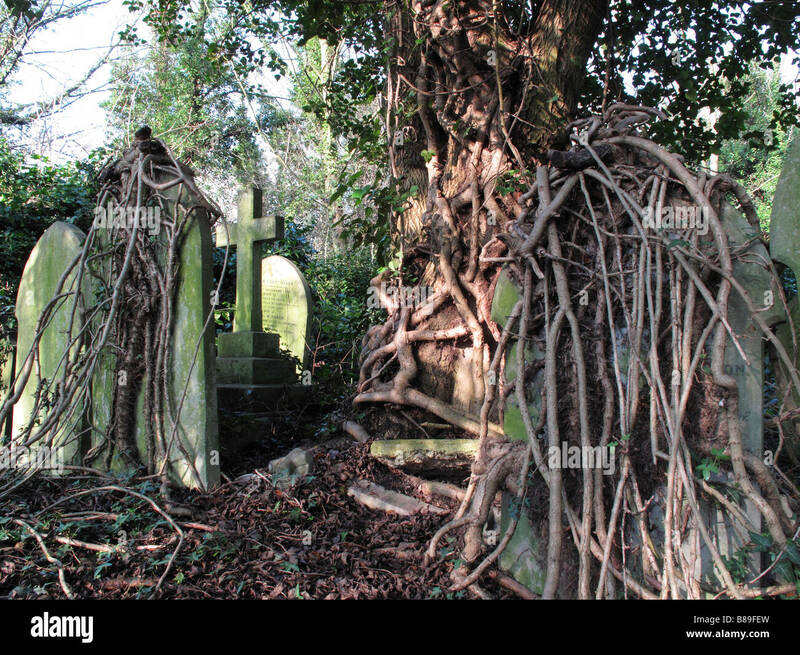 An overgrown row of headstones and grave markers in Highgate Cemetery, London, England. 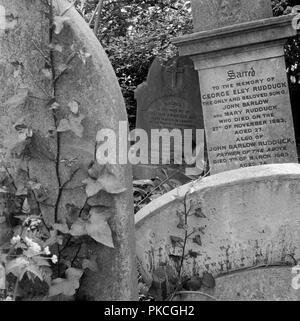 Gravestones, Highgate Cemetery, Hampstead, London, 1987. 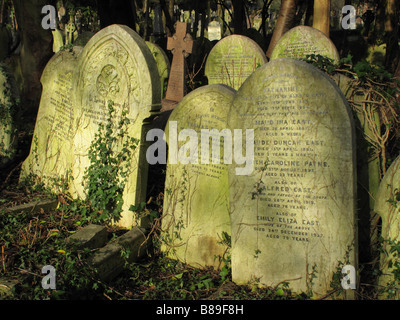 Gravestones in the West Cemetery, showing the headstones of George Elsy Rudduck (d1863) and John Barlow Rudduck (d1889) and William Ambrose (1832-1908), 'Late Master in Lunacy', a barrister who regulated the affairs of Chancery Lunatics. 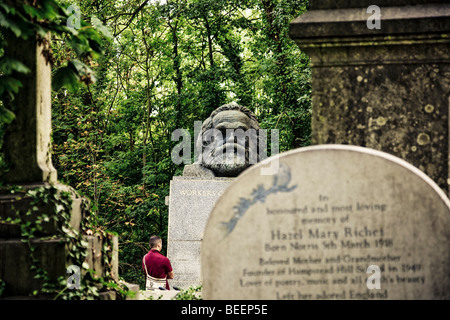 A man in maroon shirt stands in front of the grave of Karl Marx in Highgate Cemetery London England.